We do have computers available for public use. 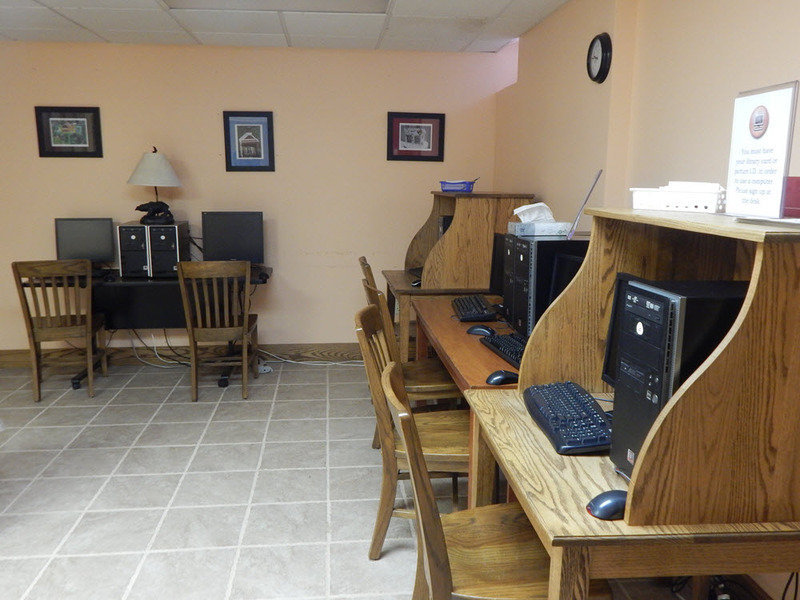 We also have wireless internet access for patrons. Patrons who have a library card in good standing or visitors with valid ID may use our computers. In accordance with the Children's Internet Protection Act CIPA, the William B. Ogden Free Library does have protective measures installed on our computers to filter internet content. Patrons MAY NOT use computers for illegal purposes or to view offensive content. Computer privledges of offenders will be revoked after the second offense. Patrons must read and agree to the policy. Parents must read and explain the policy to their minor children. All patrons, including minors, must present their library card or driver's license in order to use an Internet computer. A patron's library card must be in good standing (no fines or fees) in order to use a computer. Food and beverages are not permitted at the computers or in the library. The library does not assume responsibility for the content of material on the internet. Patrons must honor the library's expectation of appropriate behavior. Inappropriate behavior will result in suspension of computer privileges. Patrons will be held responsible for any hardware or software damages they cause in the course of using the library's equipment. If this occurs, patrons will be accessed and billed for the damages. Additionally, the patron will be suspended from using the computers. Patrons will have a one-hour time limit on computers. Additional time may be requested if no one is waiting to use a computer. Patrons must pay for and retrieve print jobs at the circulation desk. The fee for black and white printing is $0.25 per page and $1.00 per page for color printing. Computers are shut down approximately 20 minutes before closing. The library reserves the right to view screen contents at any time and require individuals to discontinue the display of information and images that cause discomfort or disruption. If the patron continues to use inappropriate sites, they will face suspension of computer privileges.